STORIS was featured in a retrospective brief in the Monday, March 23 edition of the Toledo Blade. 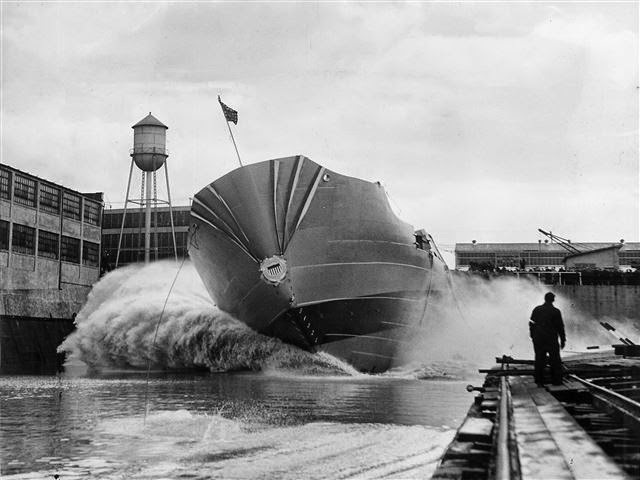 "Splashy debut for 'Queen of the Fleet'." Readers and supporters of the ship had the opportunity to post comments on the feature page. It’s worth noting the STORIS, likely the most famous and accomplished ship to have ever been built in Toledo, was placed on museum hold following her decommissioning Feb 8, 2007. In excellent physical operating condition, she was mothballed in the Suisun Bay Reserve Fleet near San Francisco as efforts to secure her for use as a museum ship continued. After attempts at Congressional donation failed as late as 2012, the STORIS Museum of Juneau and The Last Patrol Museum of Toledo tried to negotiate with the U.S. General Services Administration to obtain the ship for use in Toledo as an active museum ship and training vessel for U.S. Navy Sea Cadets. Rather than follow the spirit and intent of federal preservation law that encouraged preservation of STORIS as a nationally significant historic treasure, GSA bureaucrats opted to sell the ship at auction for a paltry $70K in June 2013 to a shady scrapper, a so-called “used-car dealer” from San Diego. This scrapper spent the remainder of the summer trying to extort from the nonprofits five times what he paid for the ship. The Blade ran a story by intern Sam Gans on 7/15/13. When the extortion proved unsuccessful, the GSA, U.S. Coast Guard, U.S. Maritime Administration and Environmental Protection Agency allowed the buyer to illegally export STORIS in late Oct 2013 to Ensenada, Mexico, for foreign dismantling. After faithfully serving the U.S. for over 64 years of decorated service with Honor, Respect and Devotion to Duty, STORIS and all her crews were betrayed by the very government they served. The Mighty STORIS, Galloping Ghost of the Alaskan Coast and Queen of the Fleet, died on a beach in Mexico, picked apart between November 2013 and summer 2014 by the yardbirds of a substandard foreign scrapyard. Rather than being an active, thriving part of the Toledo waterfront, STORIS today is relegated to being nothing more than a Monday Memory in the paper. That’s the rest of the story. The scrapping of STORIS in a substandard foreign scrapyard in Mexico undoubtedly released undocumented encapsulated hazardous materials still aboard the ship that would have otherwise been safe with museum use. After her illegal export in late Oct 2013, members from STORIS’ last crew provided statements that confirmed the presence of large quantities of old wiring, cables and other materials that would likely have contained regulated levels of PCBs exceeding the export limits set by the Toxic Substances Control Act of 1976. 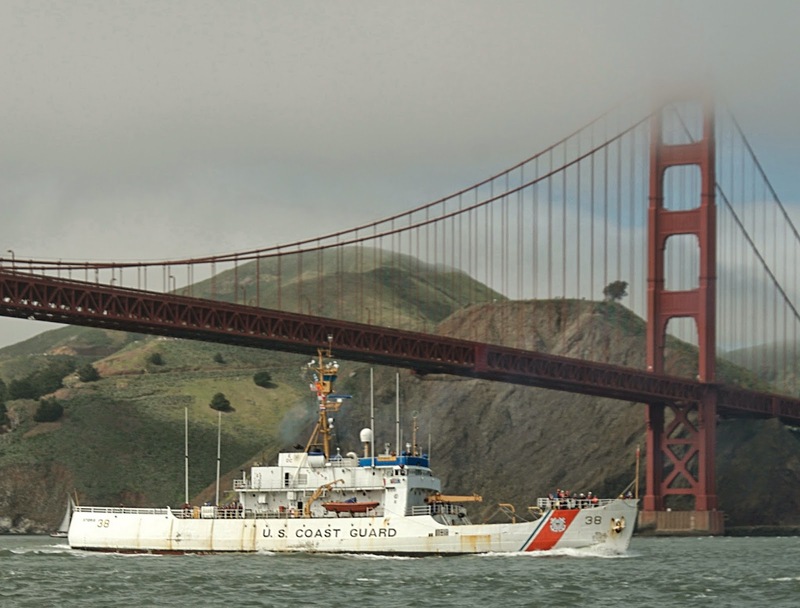 The Coast Guard decommissioning reports, already deficient and sparse in content, did not list the presence of these materials and also seemed to show that conscious efforts were made to avoid testing any location on the ship that might have tested positive for PCBs. The sale of the ship by GSA violated federal law 40 USC 548, which requires that ships displacing more than 1,500 tons are to be disposed of by the Maritime Administration. STORIS displaced 1,710 tons. The export to Mexico violated federal law Section 3502 of the Duncan Hunter National Defense Authorization Act of 2009, which mandates that retired U.S. government vessels are to be recycled domestically. Scrapping should never have even been up for consideration by the government. This illegal activity by the U.S. Federal Government all took place in spite of the ship’s excellent condition that made her a perfect candidate for museum use and preservation. As noted, STORIS was listed as nationally significant on the National Register of Historic Places on Dec 31, 2012 and yet her destruction was sanctioned by government bureaucrats just a few months later. Efforts are still underway almost 17 months after STORIS’ export to secure documentation from the Federal Government through the Freedom of Information Act to determine how this crime against history was allowed to happen. The government agencies complicit in this disaster are not cooperating. They are ignoring requests, subjectively redacting large quantities of information or attempting to charge exorbitant fees; all classic government efforts to hide the truth. Received the third rolling FOIA release from GSA today. Have to take time to go through it. Looks like a lot of repetitive documents from what they've released already. I'll try to get through it and post it in the next few days. The GSA is running its FOIA appeal process differently than MARAD. The Maritime Administration wanted me to wait until they sent everything before sending my final appeal. GSA has it set up to appeal after every release. Two problems: The first is that the person who now controls the FOIA is Danielle Ivory of the NY Times and second, the deadlines have been set at 120 days, so the appeals for the first two releases have already lapsed. No small wonder that the government is so corrupted, literally and figuratively. 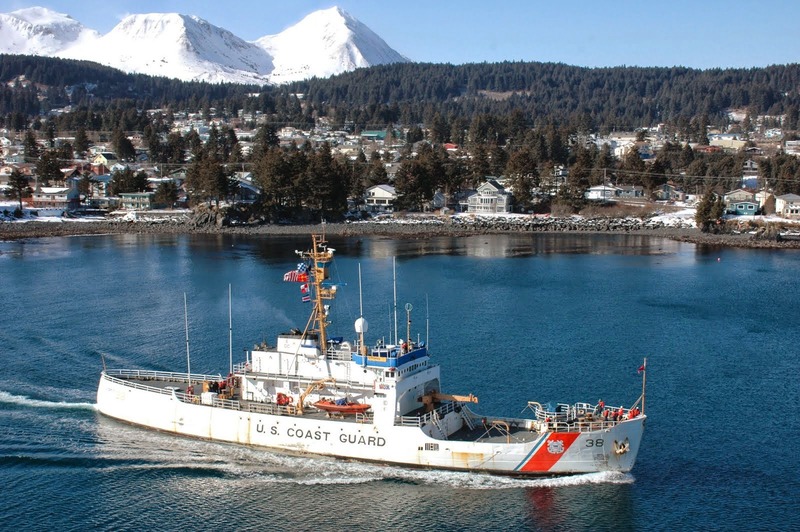 From what I've seen, GSA was still pushing to get rid of the ship ASAP with no consideration for her history because of that pre-existing Memorandum of Agreement between the Alaska State Historic Preservation Office and the USCG. It's the Daily Mail, but an AP story. It's no big shock to those of us waiting for STORIS records. This goes right along with other efforts skirting the laws that are in place to ensure that our government and its officials conduct their actions in an open environment accessible to the voting citizens of the nation. Secret communications on an outside server not only places sensitive national security information at risk of release, it also creates an environment where the Secretary of State can hide information that would be inaccessible to citizens through the Freedom of Information Act. This, once again, from THE MOST TRANSPARENT GOVERNMENT IN U.S. HISTORY. MARAD is making news in another op-ed piece. ESCO Marine, one of the major ship recycling firms in Brownsville, TX, has gone bankrupt. This is alluded to in the T&I hearing the other day and referenced in other posts. The company is in hot water for taking out over $30 million in loans using ships that still belong to the U.S. Maritime Administration and the U.S. Navy as collateral. Highly suspect, to say the least. ESCO is the yard that ultimately broke up USCGC GLACIER (WAGB-4). MARAD Chief Administrator, Paul "Chip" Jaenichen, was testifying at a hearing before the House Transportation and Infrastructure Committee last week. This and other topics related to ship recycling and the proposed STORIS Act are discussed in a new opinion piece by Denise Krepp published in Maritime Professional. CG Commandant Paul Zukunft was also at the committee hearing. The relevant questions to Jaenichen are at approximately 1 hour, 33 minutes into the hearing. Received an email update from the compliance supervisor from the Alaska State Historic Preservation Office. She has been in contact with the Coast Guard regarding the fulfillment of the MOA with STORIS. The Coast Guard response came from Dr. Daniel Koski-Karell, the contact with whom we worked when nominating STORIS for listing on the National Register of Historic Places. His response was that the Coast Guard lacks funding for the completion, publication and distribution of the popular report segment of the MOA (documenting the ship and her history) and that it is the Coast Guard's understanding that key artifacts were placed in storage. He acknowledged that the CG Historian's office has not yet taken custody of the items but would be looking into the matter and would update AKSHPO. 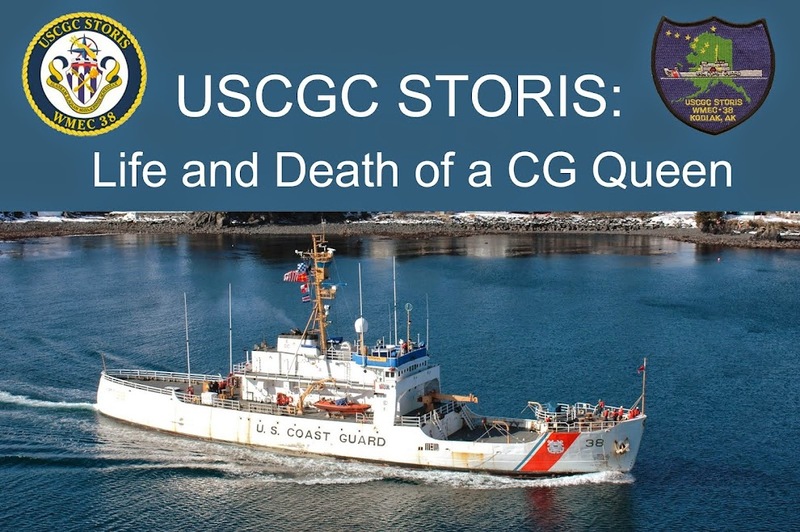 It's also worth noting that Dr. Koski-Karell was also directly involved with the discussions between the Coast Guard and GSA to expedite disposal of STORIS through auction with no consideration for her historic status since she had been documented through the Historic American Engineering Record as required by the MOA. The MOA that calls for the preservation of the bell and significant plaques from the ship also allowed for the destruction of the ship herself.